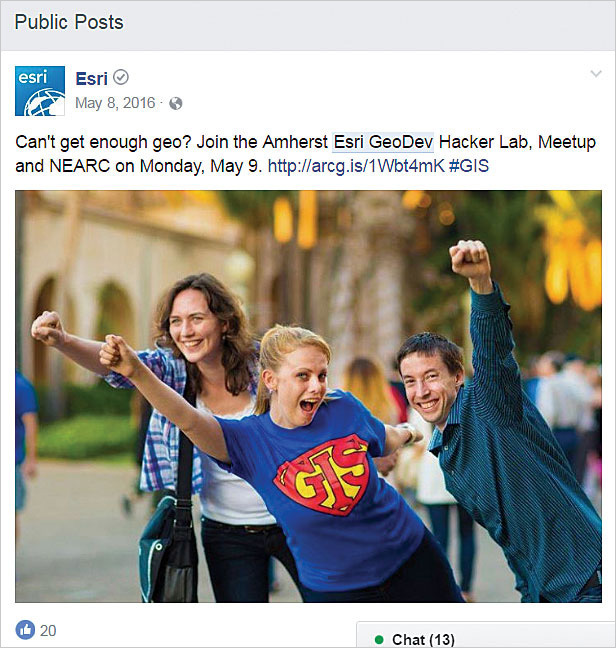 Follow Esri GeoDev on Facebook and other social media to find out about local events near you. The pace of change in technology—especially geospatial technology—is brisk and accelerating all the time. The Esri Developer Summit (DevSummit) will return to Palm Springs, California, March 6 through 9, 2018, but here are some things you can do right now that will make you a more productive, informed, and connected developer. Attending local Esri developer events, coding socially, and following Esri developer accounts on social media are three ways you can get more done as a developer, connect with other developers, and become more successful. 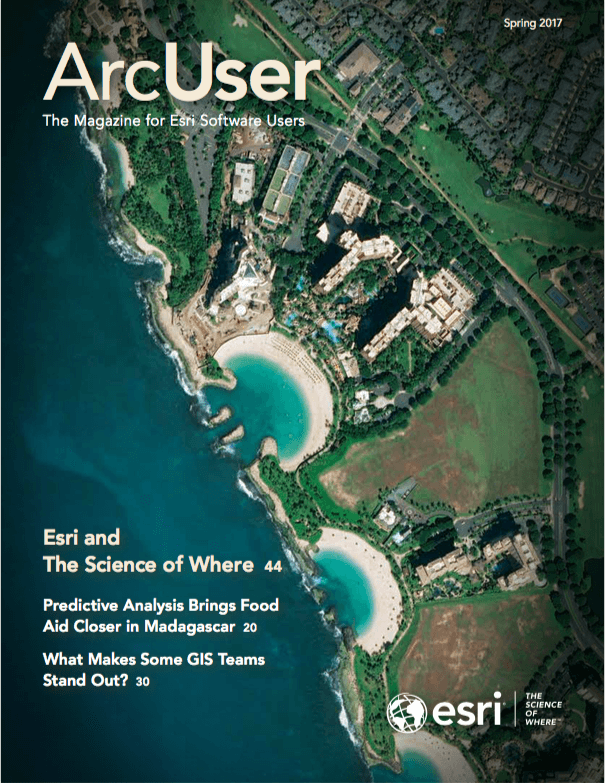 Esri hosts GeoDev Meetups held in dozens of cities in the United States. These tech socials bring geospatial app developers together to demonstrate apps, share ideas (often through Lightning Talks), and connect with other developers over appetizers and beverages. Developers in each state can join regional GeoDev Meetup groups. Esri GitHub projects, like this Esri Leaflet Quickstart, are a great way to learn more about tools and interact with other developers. Join others in the ArcGIS developer community on GitHub. The Esri site on GitHub has hundreds of open-source projects. You can participate in or explore these projects or simply download and use them. These repositories contain apps, libraries, templates, datasets, and tutorials. Coding socially can be enjoyable and enlightening, but even if you don’t contribute code, examining source, logging and tracking issues, and discussing enhancements can be valuable. Follow Esri GeoDev feeds on Instagram, Facebook, and Twitter. This is a great way to meet others, share knowledge, and stay current throughout the year. All Esri DevSummit events have feeds on Instagram, Facebook, and Twitter, so watch for the #devsummit hashtag to get conference news and announcements. Don’t forget to visit the Esri YouTube channel to view the plenary and technical session videos from the 2017 DevSummit.